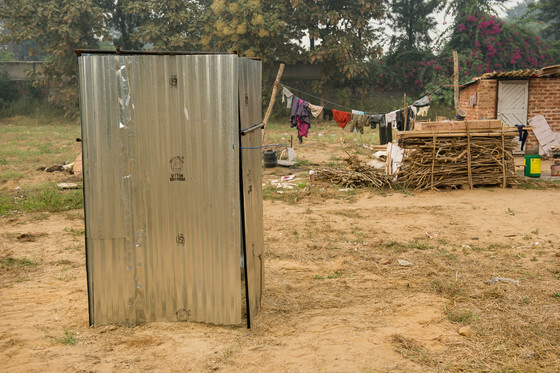 Through the donations of people like you, GFA and its field partners have provided thousands of toilets, like this one, to impoverished families in Asia. Sneaking out early to avoid prying eyes, constantly fearful of attack, feeling ashamed and embarrassed— this is common for some women in Asia, the unfortunate individuals who don’t have access to private toilets. Rithika was one of those women. Rithika didn’t have a bathroom in the small mud-and-bamboo shack she called home, so she and her two youngest children had to make do without. If her husband had been around, they may have been able to build one eventually, but he had been gone for two years and, despite his occasional phone calls, didn’t show any signs of returning or helping the family financially. Sadly, Rithika’s eldest son had followed his example and had left home to live with his friends. All this meant Rithika had to work very hard every day to provide for her children—and work hard she did. She never begged for help or borrowed money from neighbours or relatives. But there was Someone she asked to provide for her needs on a regular basis. Through the prayers and ministry of a GFA-supported pastor named Gunjan, Rithika had come to know Jesus’ love. She regularly met with other believers to worship Him at the only church in her town. Over time, God put it on the heart of Pastor Gunjan to help this abandoned mother in her need by providing Rithika with a toilet. Today, Rithika is so grateful to have a private restroom facility she and her children can use, and she no longer has to face the embarrassment of using open places as a toilet or continually visit public restrooms. It’s one less thing she has to worry about. Thank you for partnering with us to make stories like this possible. Every day, more people in Asia are blessed, whether they are coming to know Jesus for the first time or experiencing how He cares about every part of our lives, including where we go to the bathroom.